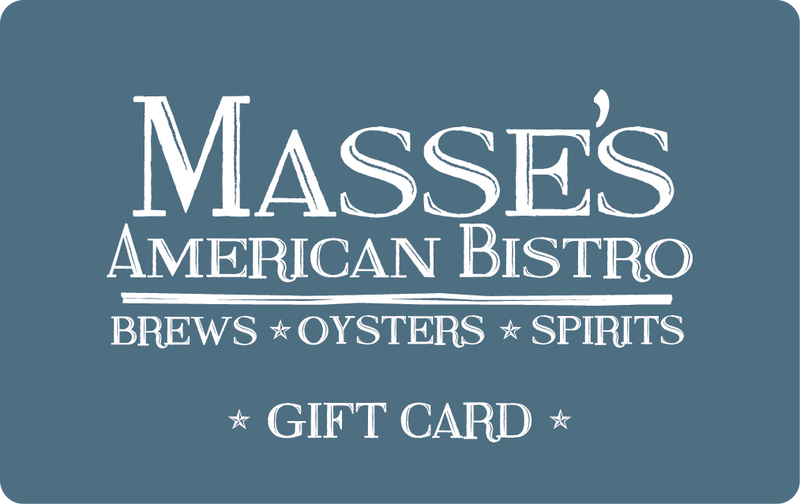 A Masse’s Gift Card is the perfect gift for anyone who loves a good meal. We offer gift cards at $25, $50, and $100. Our gift cards can be used in our restaurant for our premium crafted meals or for fresh seafood or whatever you’re in the mood for! Fans of seafood, beer, or just a well-cooked meal will surely love to see a Masse’s gift card. Bring the joy of fresh seafood to your friends or family! 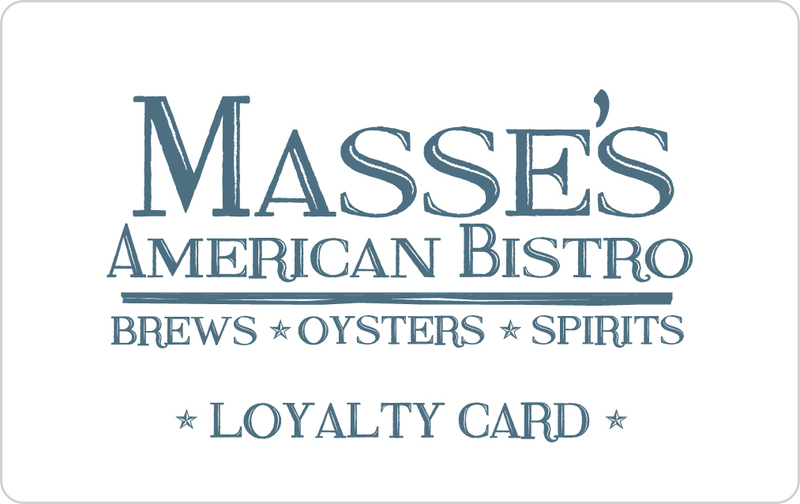 If you’re a true Masse’s American Bistro fan, ask about our Loyalty Program. For every $100 you spend at Masse’s, you’ll get $10 off of your next purchase. You even receive two times the points on Sundays! A loyalty card is a great way to save money on the delicious food and quality atmosphere you love at Masse’s.